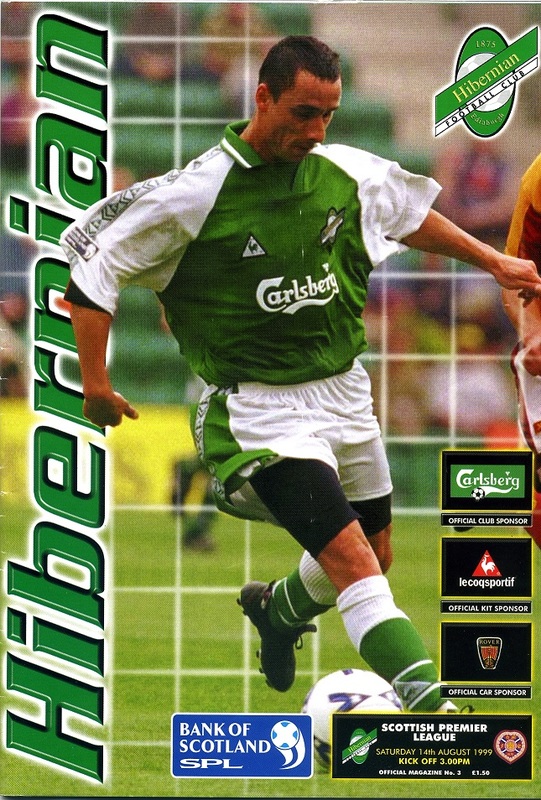 Categories: hibLOG season by season | Tags: Alex McLeish, Easter Road, John Hughes, Pat McGinlay, slope, stadium, stand, Wallace Mercer, Yogi Hughes | Permalink. Categories: Press cuttings | Tags: Dens Park, Dirk Lehmann, Dundee, Franck Sauzee, Kenny Miller | Permalink. Categories: Press cuttings, Programmes | Tags: Easter Road, hearts, Russell Latapy, Stevie Fulton, Where are they now | Permalink. Categories: Press cuttings | Tags: Clyde, goalkeeper, League Cup, Nick Colgan | Permalink. 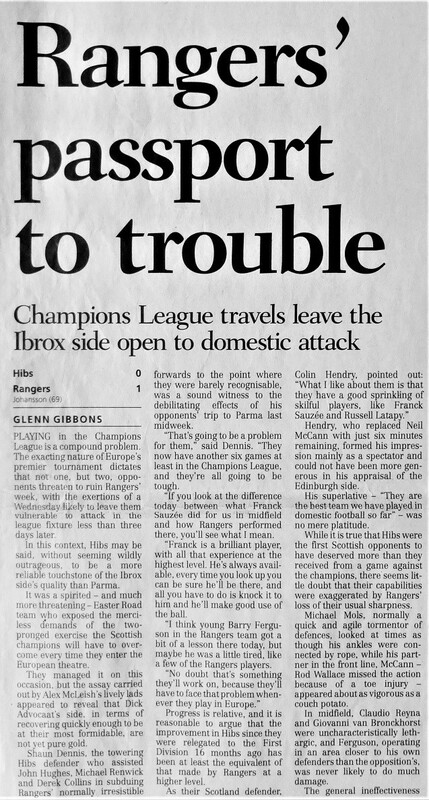 Categories: Press cuttings | Tags: Dirk Lehmann, Easter Road, Michael Renwick, Ollie Gottskalkson, Rangers | Permalink. Categories: Press cuttings | Tags: Dirk Lehmann, Dundee, Easter Road, Franck Sauzee, Kenny Miller, Russell Latapy | Permalink. Categories: Press cuttings | Tags: Billy Dodds, Dundee United, Pat McGinlay, Russell Latapy | Permalink.